Super Smash Bros. Ultimate set to release in December. And since 'everybody is here,' Shacknews is taking some time to break down each of the game's characters individually, continuing with Star Fox's ace pilot. Today, we take a look at one of the core eight fighters, a long-time staple in the Smash Bros. world. Fox McCloud is one of the greatest pilots to ever set foot in an Arwing cockpit. He's the leader of the Star Fox squadron, a band of four heroic pilots who set out to protect the galaxy from any threats that may come along. After defeating Andross for good in Star Fox 64 (and… again, in Star Fox Zero), Fox continued to protect the cosmos from major threats, like the Aparoids in Star Fox Assault. But the Star Fox team has also been happy to lend their services in a more unofficial capacity. They've saved Sauria from an insurrection back in Star Fox Adventures. And they're even answering a distress call over in a neighboring galaxy, as the full team makes a cameo appearance in the Nintendo Switch version of Starlink: Battle for Atlas. Fox goes wherever he's needed, whether it's a civilization in need of his ace piloting skills or a planet that can afford his fee. 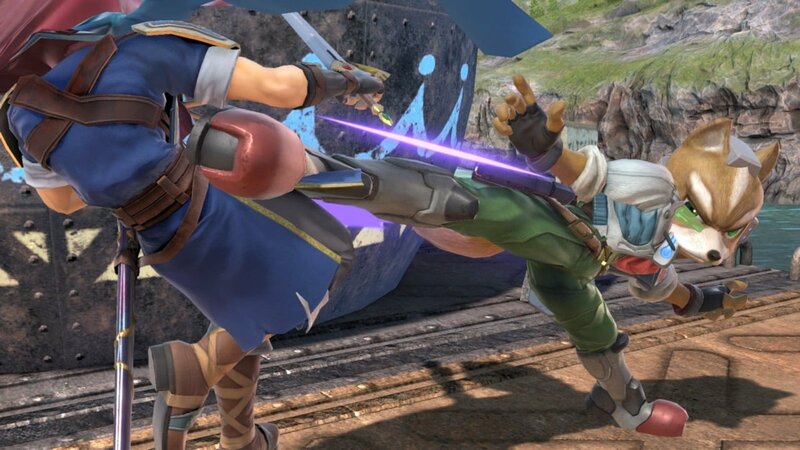 While Adventures and Assault have both proven that Fox is capable of working outside the Arwing, no game has captured his fighting prowess quite like the Super Smash Bros. series. There's a reason that Fox continues to rule Super Smash Bros. Melee with an iron fist. He's quick as a hiccup, one of the fastest characters in the game, and has a trigger finger like nobody else. He's capable of racking up massive damage with his sidearm blaster, firing as quickly as a player's thumb will allow. He hasn't lost that much of a step in Super Smash Bros. for Wii U and 3DS, remaining a top-level character and fully capable of going toe-to-toe with anyone else in the game. Blaster (Neutral B): Fox's Blaster fires quickly and effectively. Opponents won't flinch, but Fox can rack up damage fast with this weapon. It does higher damage at closer range. Fire Fox (Up B): Fox uses his jetpack to get good recovery distance. This can be aimed in any direction and is also a fairly good offensive weapon, in a pinch. Fox Illusion (Side B): Fox dashes straight forward in the blink of an eye, launching opponents upwards. Reflector (Down B): Fox's Reflector will send opponent's projectiles right back at them, dealing additional damage on the rebound. The Reflector itself can also deal damage up close. Arwing Strike (Final Smash): The Landmaster has been retired, so now Fox will call upon his fellow Star Fox pilots to launch an all-out assault in their Arwings. Fox remains one of the fastest characters in the game. But those looking for the days of the dominant Melee-era Fox may be left wanting. Nintendo has reigned Fox in quite a bit, with many of his standard and special moves not feeling as effective as they used to. But his Blaster remains just as effective as ever, while Fire Fox remains a solid recovery option. Many of the pros have not been favorable towards Fox's changes. That brings us to Smash 4's main Fox authority, Larry "LarryLurr" Holland, the best Fox player in the game. LarryLurr has attained many tournament victories with Fox, even racking up a few wins over top player Gonzalo "ZeRo" Barrios. 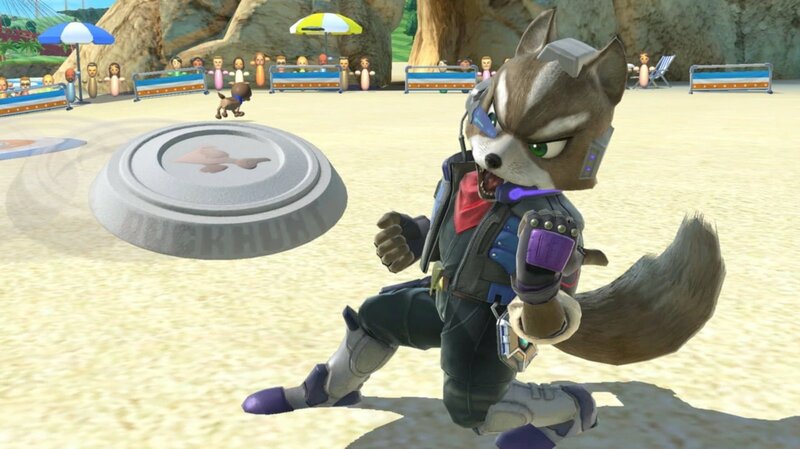 And as one might expect, he has some opinions on Fox, making sure to point out that one of the main Smash Ultimate changes has been reduced damage and knockback during four-player free-for-all battles. Holland doesn't mince words, noting that Fox Illusion has seen its power greatly reduced. Worse yet, it's no longer safe on block. He also points out that "Shine stalls," in which Fox would use his Reflector to reduce his falling speed, is no longer a thing. 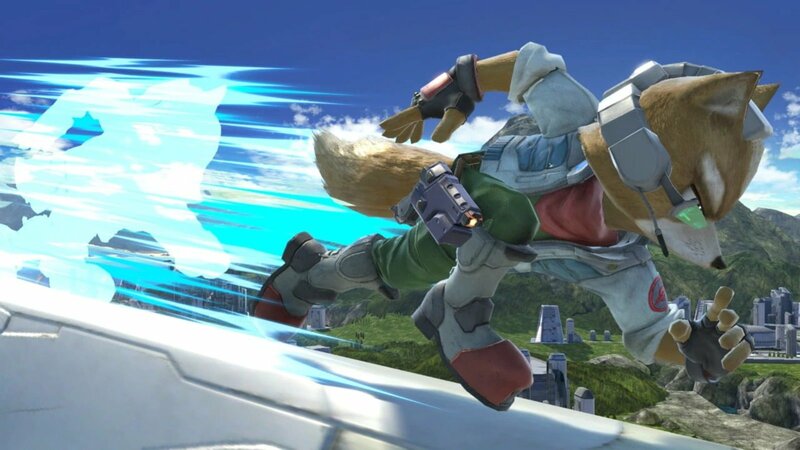 Reflector can only slow Fox's fall once, after which he'll fall at normal speed, no matter what. LarryLurr has also been practicing his Fox frequently at events like DreamHack, with videos available on his YouTube channel. That video saw Larry face off against Matthew "Xzax" Liberatore, another U.S. Fox player. Coincidentally, Xzax just weighed in earlier today about the character. And after a few months of contemplation, he's warmed up to the new Fox considerably. One of Ireland's top Fox players is Jonty "Skarfelt" Armstrong. He recently got to take part in Nintendo's UK Smash Invitational, in which he got extensive time with Super Smash Bros. Ultimate. He shared his thoughts about the game and, in particular, shared his thoughts about Fox. Super Smash Bros. Ultimate is set to arrive in December on Nintendo Switch. Shacknews will continue looking into each of the game's characters from now through the big day, so be sure to come back for more breakdowns over the coming weeks. For even more information concerning Nintendo's latest Switch brawler, be sure to head over to Shacknews' Super Smash Bros. Ultimate walkthrough and guide.